Viber for Windows supports you make free calls and send free messages to other Viber users, on any device and network, in any country. What is Viber for Windows? 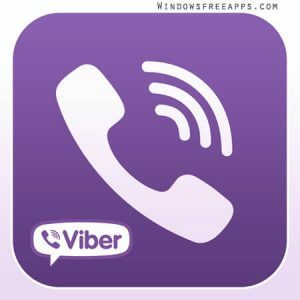 Viber is the popular and widely used app Windows that allows you to make free calls worldwide to other people that have this same app installed on them. 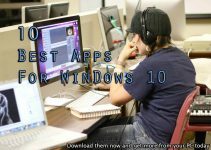 But if you want to use Viber on your computer, we recommend you should choose Viber for Windows. 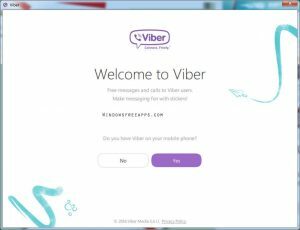 Why Should You Download Viber for Windows? Viber is an Internet-based video, voice and SMS texting program which helps you to communicate with anyone who has the Viber application installed on their cell phone. Viber for Windows syncs calls history, your contacts and chat history with your phone device, so you can start the conversation on the Viber mobile application and continue from your PC. Viber for Windows can make VoIP calls, text chat, call landlines and cell phones, video conference and send SMS messages. It allows you to completely forgo cell phone charges without having to worry about expensive long distance or airtime charges. 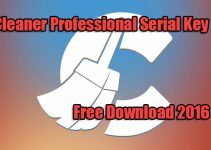 Finally, it is free and very easy to use. You just install it, login in and you’re ready to go. You can download Viber for PC click this link here now. You can use IDM download manager to download faster. You discover more here. Run “ViberSetup.exe” to start the installation process. Select “I agree to the license terms and conditions” then click “Install”. An installation window will appear on the screen. Then you wait till the installation finishes. Finally, Viber application is setup on your computer and is ready to connect. As a result, we have shared a way to “How to download Viber for Windows“. If you see this article, please like and share it. We hope you also share this guide with your friends and family over the social network so that they can also learn download Viber desktop. It’s also the best way to which you can let others support us. Thank you.